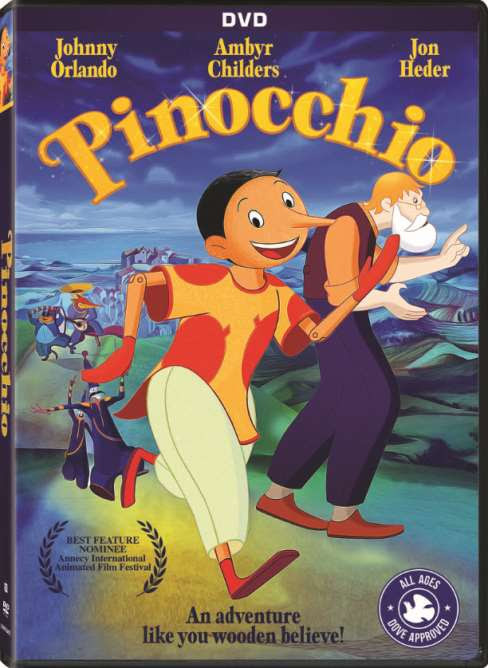 Coming to DVD on April 10, 2018, from Lionsgate is Pinocchio with an MSRP of $14.98. Cast includes Johnny Orlando (YouTube star/singer “Missing You”), Ambyr Childers (TVs Ray Donovan), and Jon Heder (Surf’s Up). Starring your favorite wooden puppet for my childhood; from acclaimed international author Carlo Collodi and re-imagined for a new generation and bursting with songs, color, laughter, and thrills, this witty, wondrous version of the classic family adventure includes new chapters you’ve never imagined. Carved by a lonely woodcutter longing for a real son, playful Pinocchio is eager to do good and become human but he keeps it and distracted from his quest. Constantly captured by con men, a tricky fox, a cat, and constables, he finds rescue courtesy of the helpful souls who recognize the wooden puppets kind heart. 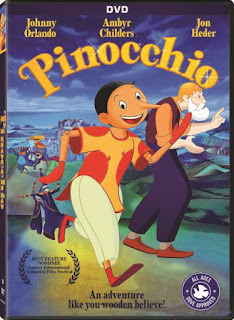 My Opinion: this is a great DVD and kids will like how funny and unique this version of Pinocchio is. I like the fact that I can share it with kids that may not have seen Pinocchio before. This DVD also features Bringing the Characters to Life: at the recording studio with Johnny Orlando, Jon Heder and Ambyr Childer’s featurette and Dove Family Approved. Labels: Movie Review, Pinocchio Out Today!